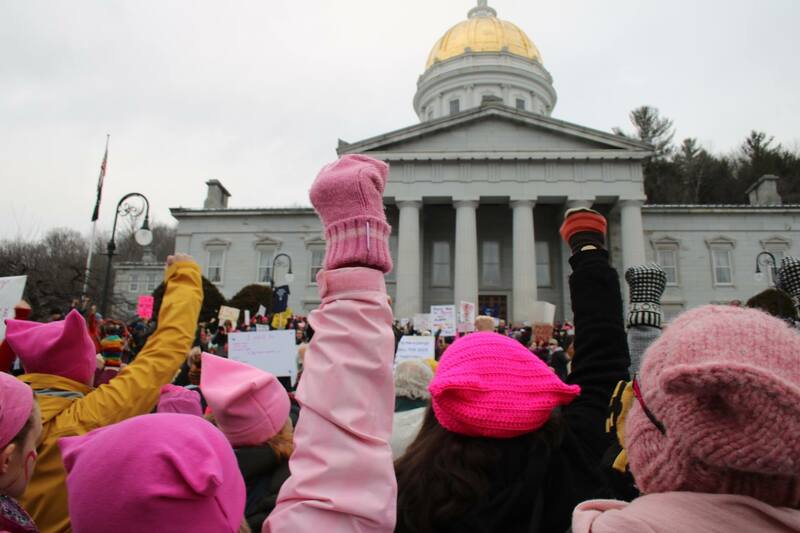 Police estimated that 15,000 to 20,000 people came to Montpelier to participate in a nation-wide women’s march on Saturday, Jan. 21, 2017, closing two exits on Interstate 89 after traffic backed up for miles as people poured into Vermont’s capital. Katie McCarty, one of the organizers of the Women’s March on Montpelier, watched in amazement in the week leading up to the Saturday rally as Facebook responses skyrocketed. Now the movement’s leaders are discussing how to harness that energy going forward. McCarty’s volunteer web designer sent heran email Friday night saying the site had received 15,000 hits, crashing the website.